Looking back over 2013, it had become increasing apparent to me that during my weekly participation at my local cars&coffee event, I had witnessed a phenomenon resembling that of a time warp. This realization became even more obvious during my shooting of the car seen below. As I viewed the image on my camera’s rear display, suddenly time appeared to be moving in slow motion. After taking a second shot, I immediately noticed the effect had now become even more pronounced. Had time truly slowed down or was I speeding up? 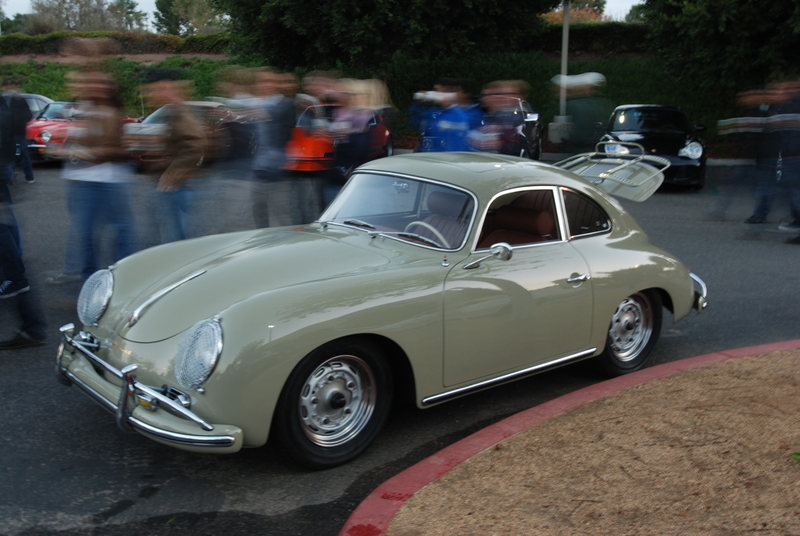 Or had I been transported back in time, and was now viewing this beautiful 1959 356A coupe in the past tense? 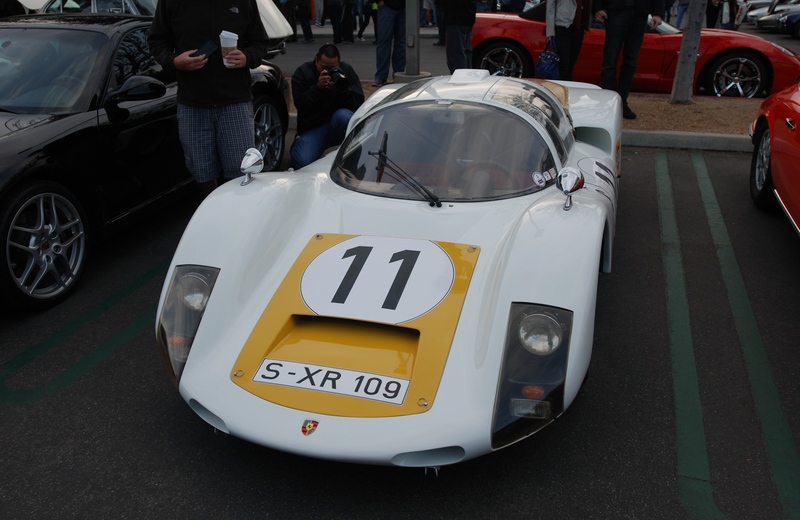 Looking around, I could see a number of other Porsche models assembled, including a rare 1966 Porsche 906 race car. 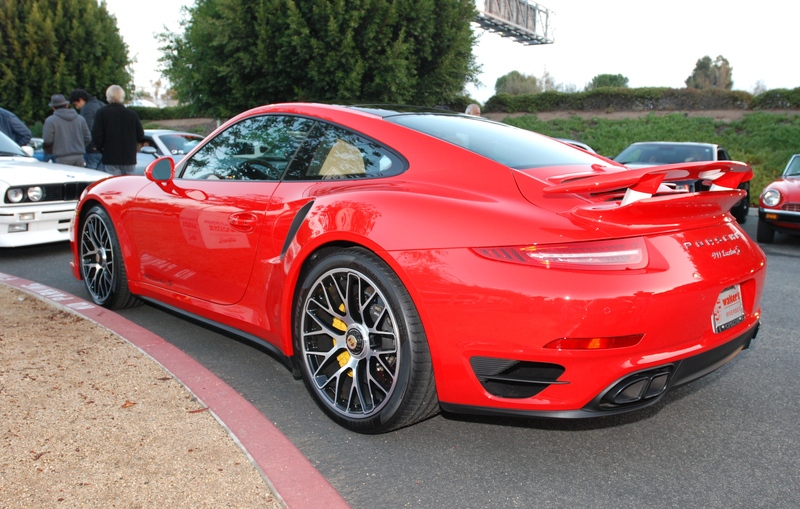 Anchoring the other end of this family tree was a pair of brand new, 2014 Porsche 911 Turbo S models. 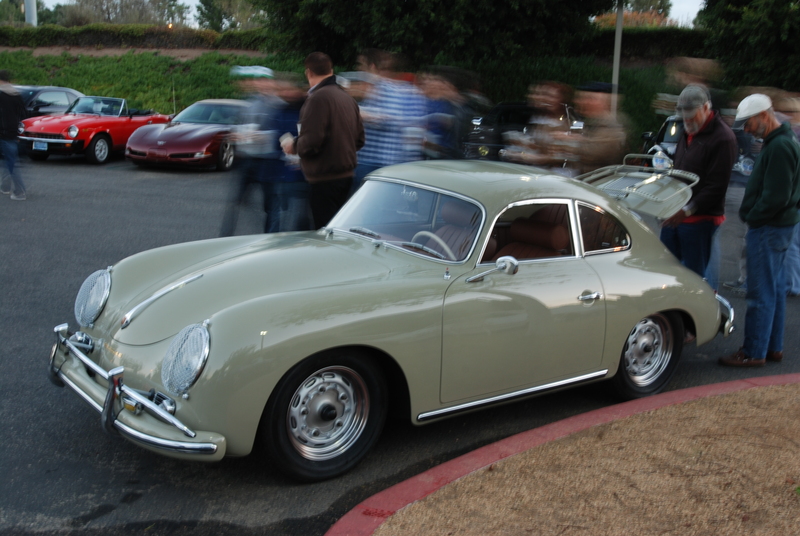 The following photos illustrate a variety of Porsche models one can encounter on any given Saturday morning at cars&coffee/Irvine. However, you can also discover a multitude of other brands and their respective models, represented by both vintage as well as the most current models. 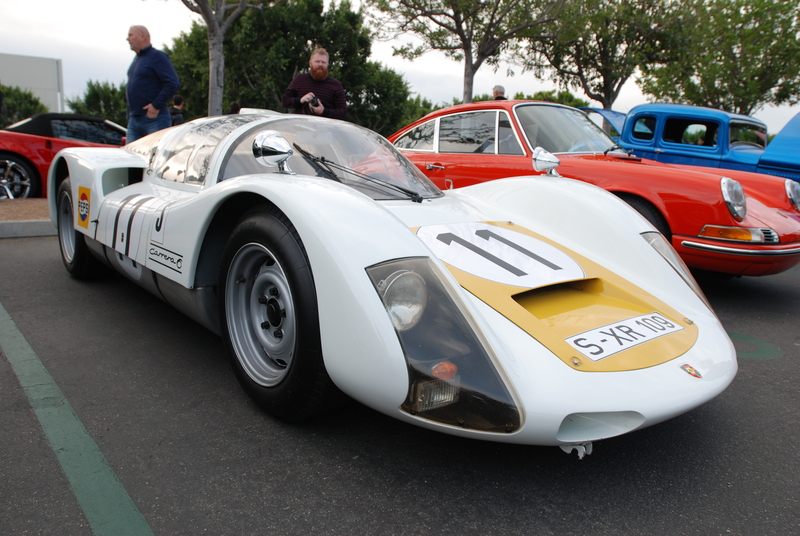 A frequent cars&coffee participant seen below: the impressive 1966 Porsche 906 race car. Low slung doesn’t even begin to describe the height of this race car, when compared to the red Porsche 911 parked alongside. 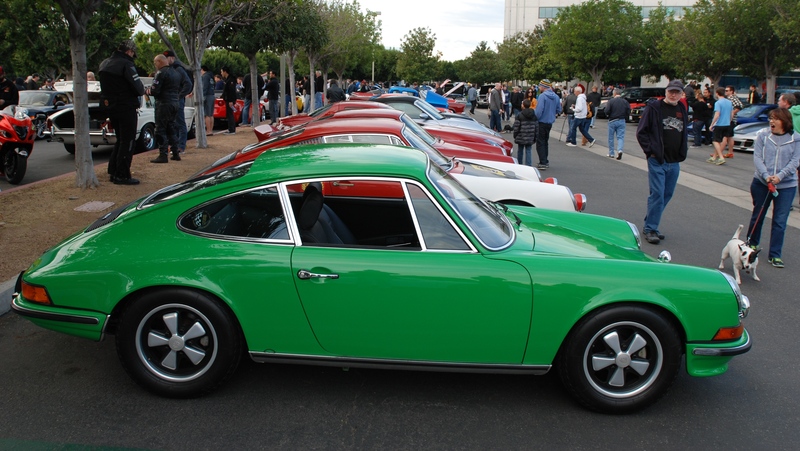 The weekly lineup of early Porsche 911s parked along Porsche row, anchored by one pristine, Viper Green 1973 Porsche 911S. 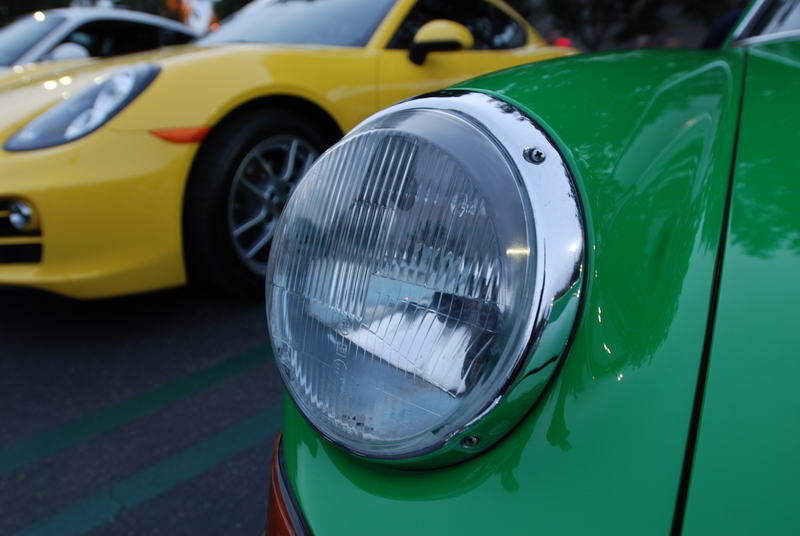 An up close view of the scarce yet highly desirable, European Bosch H1 dual bulb headlight. 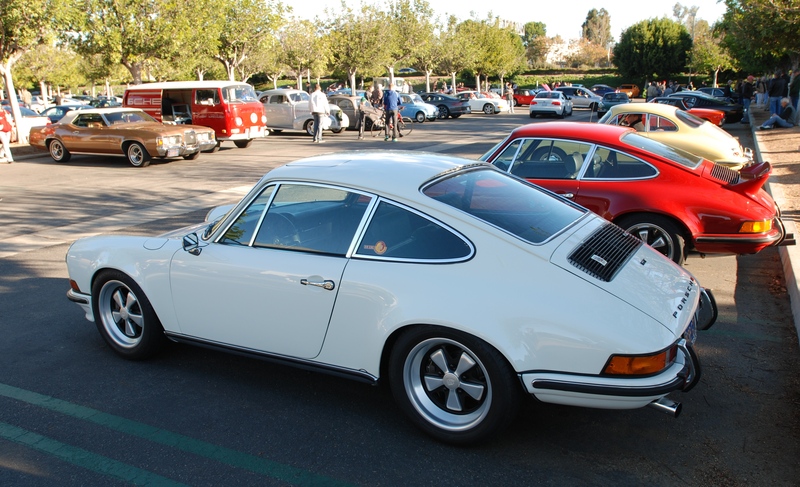 Further down Porsche row, a pair of modified, early 1970s Porsche 911s, both representatives of the RGruppe. 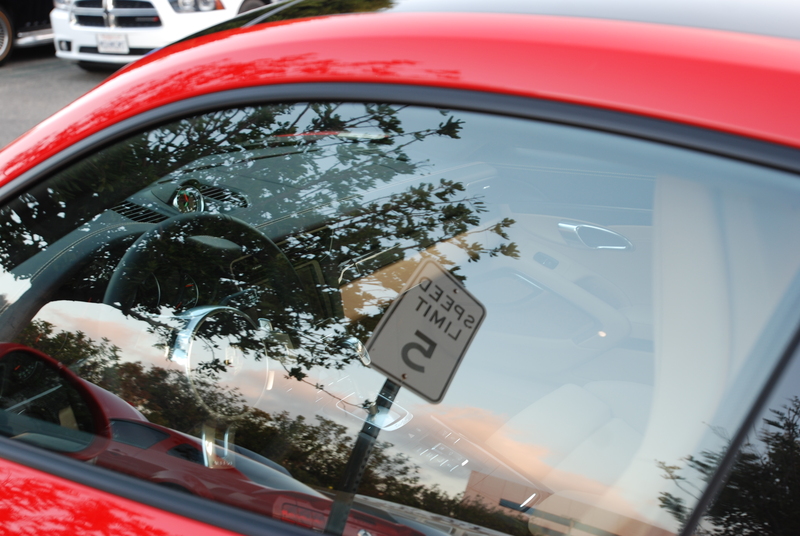 On this morning, participants were rewarded by the presence of two true supercars. 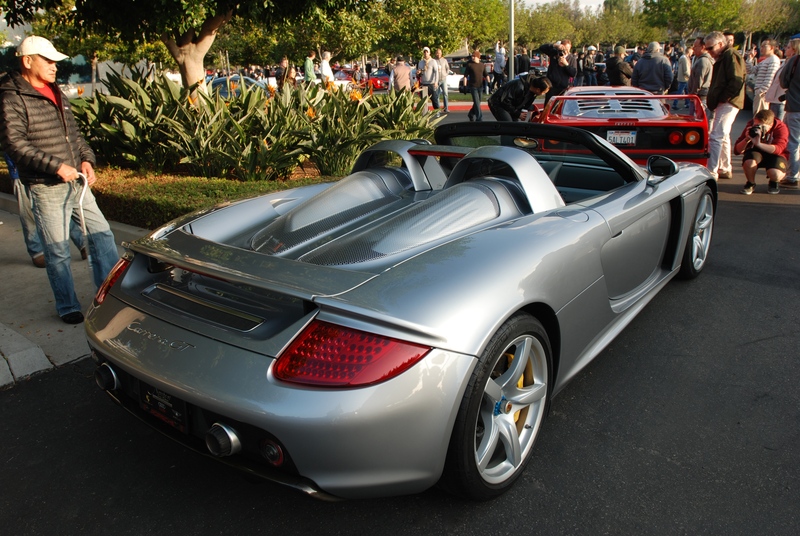 Representing Porsche, dressed in GT silver, was a Carrera GT, produced from 2004 – 2007, with only 1270 built. Representing Ferrari, and parked immediately in front of the Carrera GT, was the brilliant red Ferrari F40. The Ferrari F40 model was built from 1987 – 1992, also in very limited quantities. This car represents one of only 1315 Ferrari F40 models produced. 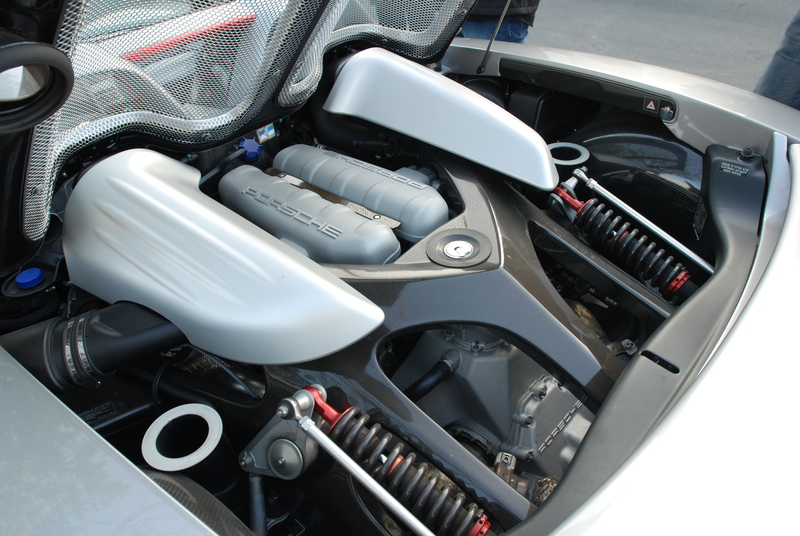 and out back, its exposed 5.7 liter, 612 HP V10 motor, flanked by its visible rear suspension components. 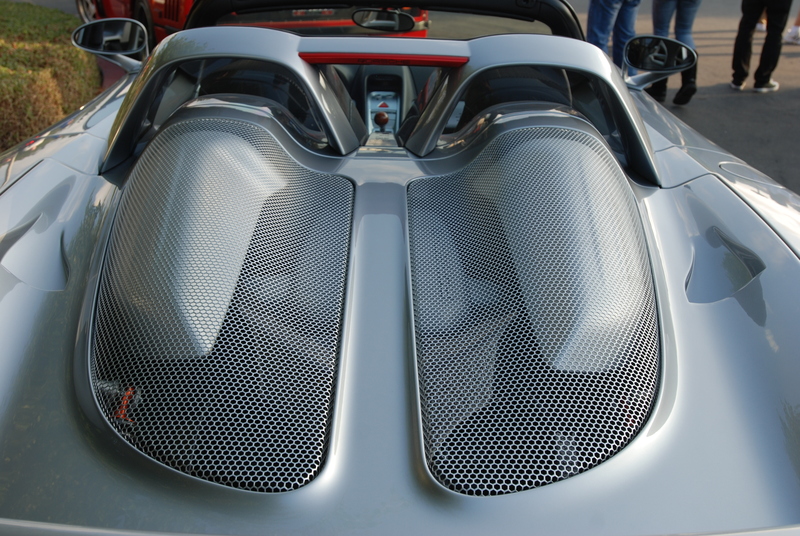 The Carrera GT’s rear deck lid, complete with contoured, protective mesh grills, and dual NACA ducts. 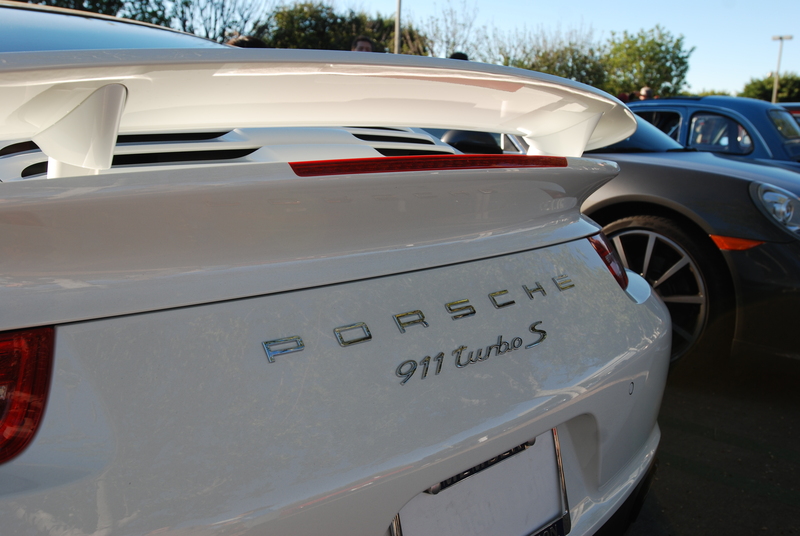 Lurking in the shadows was the second of the 2014 Porsche 911 Turbo S models present, this one dressed in white. 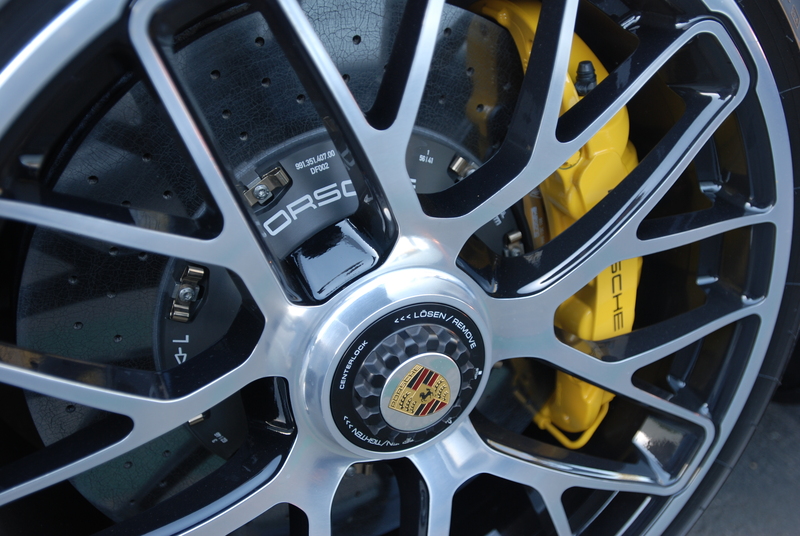 The unique center lock, 20 ” forged, bright polished Turbo S wheel, framing the PCCB brake components, and highlighted by the systems signature yellow brake caliper. 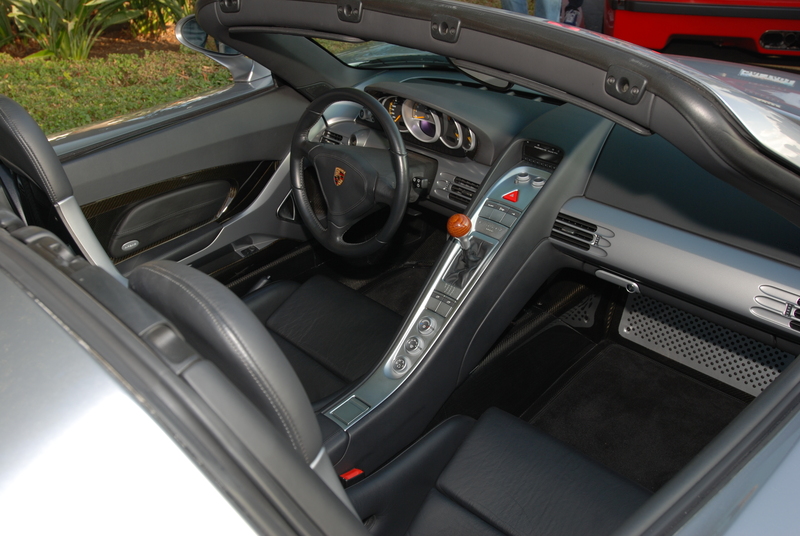 As the event wound down, I realized that after viewing a multitude of cars each week representing Porsche, Merced Benz, BMW, Ferrari, Lamborghini, Chevrolet, Ford, Lotus, Jaguar, Mazda, Nissan and many others, and regardless of ones favorite make or model, you too can experience the time warp phenomenon simply by attending. 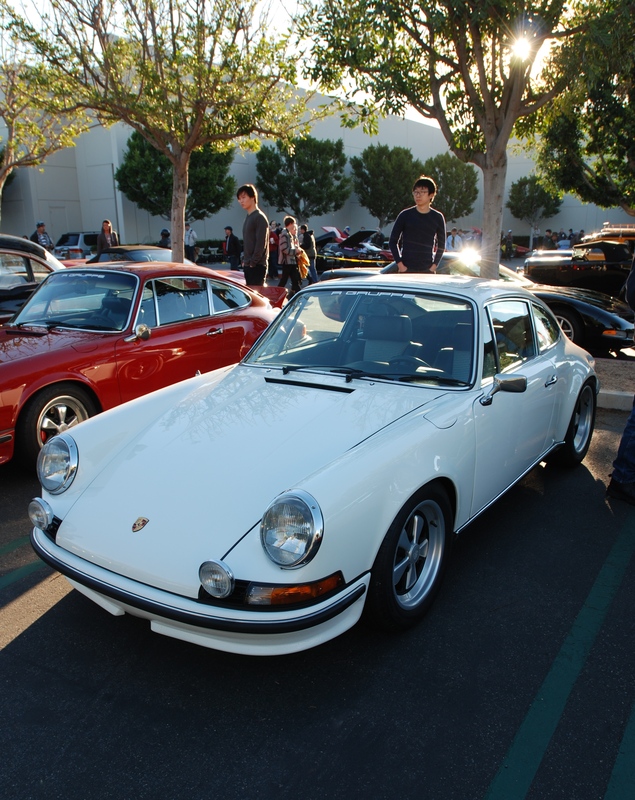 So for 2014, if you haven’t yet experienced cars&coffee, come on down and “let’s do the time warp again”. 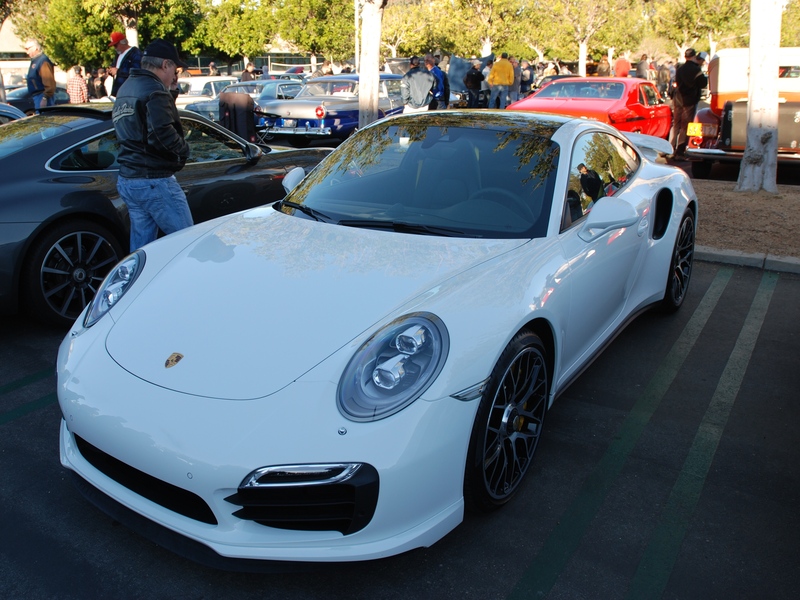 This entry was posted in 2014 Porsche 911 Turbo S, Cars&Coffee / Irvine, Classic Cars, photography, Porsche, Porsche 356, Porsche race cars and tagged 2014 Porsche 911 Turbo S, Automobiles, Cars, cars&coffee/Irvine, GT silver Porsche Carrera GT, photography, Porsche, Porsche 356, Porsche 906, Porsche 911's by digitaldtour. Bookmark the permalink. Thanks for the feedback, and glad you enjoyed my photos. The new Turbo is beautiful. 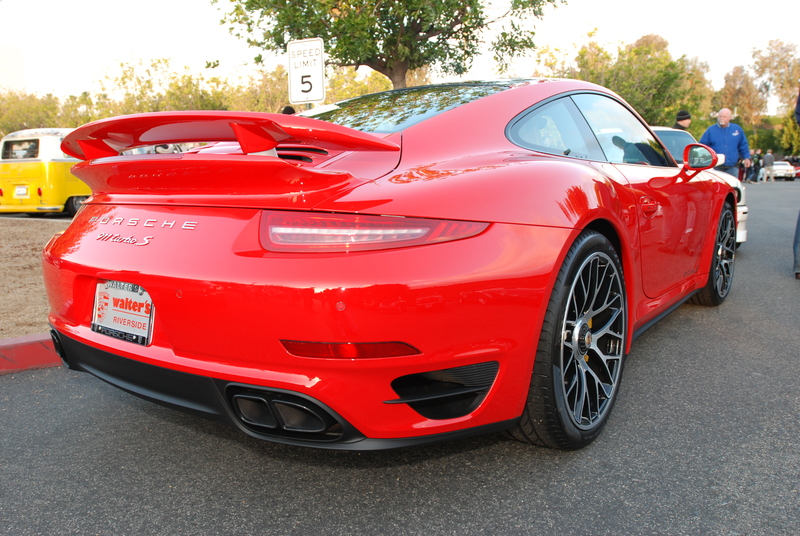 Thanks for the feedback, and I agree the new Porsche Turbo S model is amazing.